Do extra efforts in the first several months of courtship help relationships last longer? Or, should someone entering a new relationship simply rely on spontaneity and allow fate take over? No this isn’t an article about dating. It is about the beginning of the employee/ employer relationship in school districts. More specifically, I want to focus on effective onboarding for teachers. We have written a previous article comparing the effectiveness of school district onboarding to law enforcement careers and even fast food restaurants. This article is much more in-depth and discusses key principles districts can use to develop effective onboarding practices. We are also providing a link to receive a free resource to help plan onboarding for teachers and new staff members in your district. Use the link below or at the end of this article to download an onboarding planning guide that you can edit to fit the needs of your district. What is Onboarding for Teachers? Onboarding is not orientation. Orientation is an event. Orientation typically lasts the first two or three days of employment and should be the beginning event of onboarding for teachers, but it’s only one event. Onboarding for teachers is a process. It conveys a school district’s values, explains people and professional culture, aligns expectations and performance, and provides the resources that are essential for employees to be successfully assimilated into his or her position with pre-planned efforts. No matter how effective a district’s 3-5 day orientation may be, it is impractical to believe these goals could be achieved in one week. Onboarding is an ongoing process that lasts through the entire first year and sometimes into the second year of teaching. Instilling values, culture, establishing performance expectations, and learning how to access essential resources is not a one week event. Onboarding for teachers is the first and one of the most essential elements of talent development in school districts. An article from The Academy of Management Journal found that onboarding is pivotal to building rapport between the new employee and the organization, supervisors, and co-workers. The study found that organized, early, continued support had significant positive relationships with work outcomes. When support levels were high from the team and leaders, new hires often had more positive attitudes about their job and worked harder. When support and direction were not offered, the inverse occurred, leading to unhappy and less productive employees who were more likely to leave the organization than those who experienced effective onboarding processes. Further evidence was found by The Society of Human Resource Management (SHRM). They summed up the importance of onboarding for teachers perfectly in an article titled Onboarding New Employees: Maximizing Success. They concluded that the faster new hires feel welcome and prepared for their jobs, the faster they will be able to successfully contribute to the organization’s mission. According to SHRM, there are four “Cs” of onboarding that exist at four distinct levels. Culture is a broad category that includes providing employees with a sense of organizational norms— both formal and informal. Now that there is a clear understanding of what onboarding is, how it exists at different levels (and often predicts the level of success in new employees), and the effect it can have in developing and retaining talented teachers in school districts, it’s time to take a close look at what onboarding for teachers looks like in school districts. Just a quick note. I sometimes reach out to our newsletter audience to provide practical feedback for articles. I asked several district leaders and human resource professionals that work in schools to share practices they used in onboarding teachers. You will find some of their ideas in the paragraphs below. When developing onboarding programs for teachers the first step every district should take doesn’t begin with orientation, rather it should begin before staff members are even hired. Effective onboarding begins with quality school district hiring practices that strive to identify applicants whose values and talents most closely align with the needs of the district. Another important part building relationships with new hires that occurs before employees show up for their first day or sign a contract is providing a realistic job preview for teachers. Ensuring the best candidate was hired, that candidates are fully aware of their future work environment, and that they understand how their skills and abilities will be utilized to meet the challenges in the district are very important first steps that occur before the first official week of employment begins. Provide positive first day experiences. Make a new staff member’s first day special. Some schools provide welcome signs at central meeting points for new hires (such as the central office). Other school districts prepare the work areas for new teachers by showering new staff member classrooms with supplies, books, gift cards, and other needed supplies or personal effects related to employee’s interests. One of our newsletter subscribers shared this practice from her district. Provide an agenda. The first few weeks and months for new hires is usually crammed full of activities. Provide clarity through an agenda that details activities for the first few weeks and months and throughout the remainder of the school year. Community Awareness. It is important that new staff members become familiar with the community the district serves through the vantage point of an education professional. Even when people grow up in the community where they will teach school districts can use the onboarding process to help people learn new things about the area or to help new staff members gain new perspectives and develop empathy for students who will soon be sitting in their classrooms. I would add that a scavenger hunt in the community would probably require some strict rules about speeding through town and obeying traffic rules. 🙂 Teachers can be very competitive in challenges like this. Ed Gooch, a Coordinator in the Lancaster, Pa School District wrote us and said his district requires new staff members to participate in a bus tour of the communities the district serves. Bus tours help new staff members become familiar with the area. School districts can extend this experience beyond a tour of the city and make the experience more impactful in districts that have high poverty rates and diverse communities. When staff members see first-hand the neighborhoods where students live it can help them understand the challenges many students face when they leave school each day. Districts may also consider sharing profiles of students who came from difficult neighborhoods to discuss ways specific staff members and the school have been change factors in their life. How have staff members lived up to the mission statement and core values? Nearly every district I’ve visited has a Mission Statement and Core Values hanging on the walls of district facilities or on the district’s website. As you know, these mean nothing unless staff members from senior leaders in the district office, teachers in the classroom, administrative staff, custodians, and bus drivers make daily decisions based on the Mission and Core Values. Begin building narratives of the best staff members that have worked for the district. Provide profiles of staff members who exemplify behaviors that represent the Core Values of the district and who have shown their resolve to achieving the district’s mission. Set aside time during the onboarding to share these profiles with new staff members, or better yet, bring exemplary veteran staff members in to tell their own stories about their experiences as brand-new professional educators and what the district’s mission and core values mean to them. Establish and develop personal and professional resources. School leaders obviously want new staff members to be motivated and engaged in their job duties. Two of the largest competing factors that affect teacher engagement are Resources and Demands. Professional job resources refer to the physical, psychological, social, or organizational aspects of the job that have the potential to reduce job demands. They are the some of the largest assets in achieving work goals, and stimulating personal growth and achievement. It can reasonably be assumed that as resources are increased, demands are reduced and staff members will be more engaged. When searching for factors that affect turnover and can increase the effectiveness of onboarding for teachers, resources are important places to focus attention. Brenda Yoho, the Educational Support Services at Danville District 118 shared her district’s strategy to identify which resources they need to focus on each year. Personal resources are positive self-evaluations that are linked to resiliency in work related tasks. Personal resources can also refer to how resilient a person is and their confidence in their own ability to control and have an impact on the world around them. Unlike job resources which can be developed after a new staff member is hired, personal resources should be screened in through teacher selection practices. Self-efficacy (built through adequate training and opportunities to improve skills over time). The lack of resources to meet job demands causes strain and has a relationship with burnout which obviously undermines engagement and causes less commitment to the school district. Again, when developing effective onboarding programs for teachers, be sure to consider ways your district can implement practices in the first weeks and months to improve professional resources and ensure selection practices have the ability to identify personal resources that can help predict employees who are more likely to be engaged. This idea related to increasing professional resources were shared by another subscriber of the K12 HR Solutions Newsletter. Administrative orientation. For some districts this is where onboarding for teachers begins and ends. As you know this is when important information regarding taxes, insurance and benefits, and other paperwork required by the district. You also want to make sure to provide a cheat sheet with important contact numbers and emails from various district offices that assist with various needs of staff members along with brief descriptions of what services they provide. Mentor and leader communication. This is likely the most essential component of onboarding programs for teachers and is directly related to #5, Establish and develop resources. Ideally, mentors should be teachers from the same grade level or content area as the new staff member. Preferably, mentors should exhibit desired behaviors, values, and temperament of engaged education professionals. Similar opportunities should also be scheduled between building leaders and staff members. Principals are often frustrated when job candidates seem energetic and passionate during interviews and the first few weeks of the school year and later find themselves attempting to fill vacancies from new teachers at the end of the school year. Departures like these should seldom catch building leaders by surprise, yet this is often the case. Employees are far more likely to discuss challenges with individuals whom they have established trusted relationships. As you know these relationships can only develop through ongoing discussions and feedback and the development of mutual trust. While placing substitutes in the classrooms of new teachers adds additional costs to the budget, the return on investment is likely to be a more engaged staff member who trusts their new co-workers and leaders. Effective onboarding for teachers can be especially challenging for school districts. 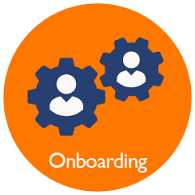 In most organizations onboarding is continuous and occurs throughout the year. In school districts however, onboarding most often occurs just prior and during the back-to-school season, one of the busiest and most chaotic times of the year. Even so, the investment the district has made in new staff members, and more importantly the students the district serves is worth the time and effort required to build effective strategies to effectively onboard new teachers.